The Jubilee moved from Sivlerlake to the Downtown Arts District. 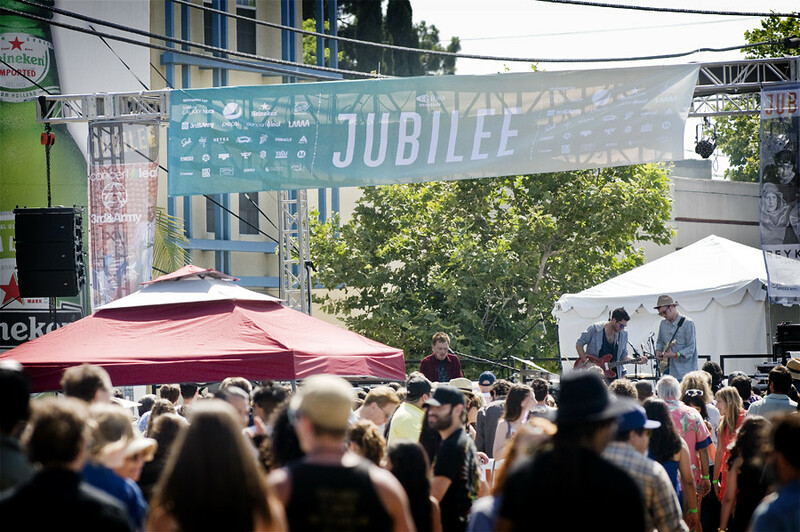 The Jubilee, formerly known as the Silverlake Jubilee is back and bigger than ever; so big that the Music & Arts Festival, founded by Jack Martinez had to move to a bigger space, allowing the music and party festivities to go on until 2 am. This all ages, annual two-day party takes place this weekend on June 7th and 8th (that's Friday and Saturday) with this years' lineup featuring headliners The Drums, Black Lips and Free Energy along with Picksysticks favorites Kitten, Wardell and Bleached! 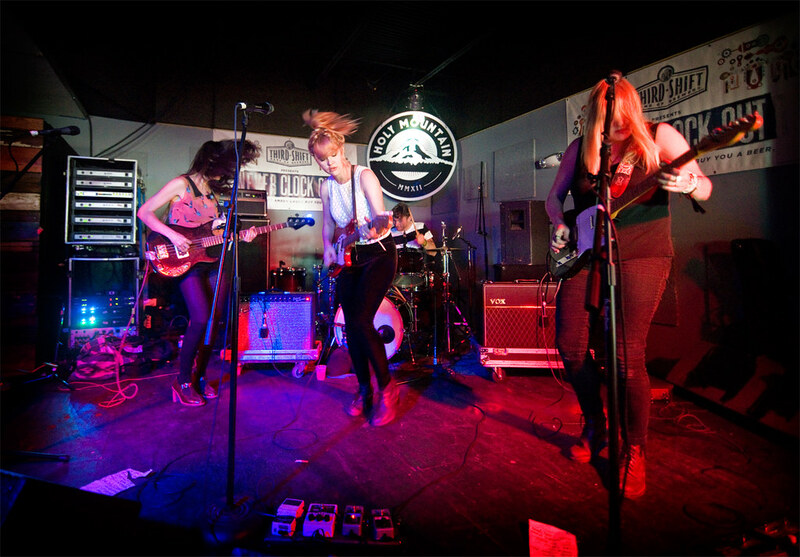 “The Jubilee Music and Arts Festival continues to provide a kaleidoscope perspective on the L.A. music and art scene, with its friendly party festival atmosphere," says Martinez. "This year’s festival will be a blast for everyone attending and a great way to experience art." The new location - the Downtown Arts District will host an eclectic array of 40+ musicians, comedians like Illiza Shlesinger, Natasha Leggero and Joe Sib and literature presented by PEN Center USA featuring well-established authors and Los Angeles poet David Shook. Also on hand during the Jubilee will be over 20 food trucks/vendors and 40+ arts and crafts booths. Critical darlings BLEACHED are fast and loud. KITTEN, hot off the heels of touring with Paramore. 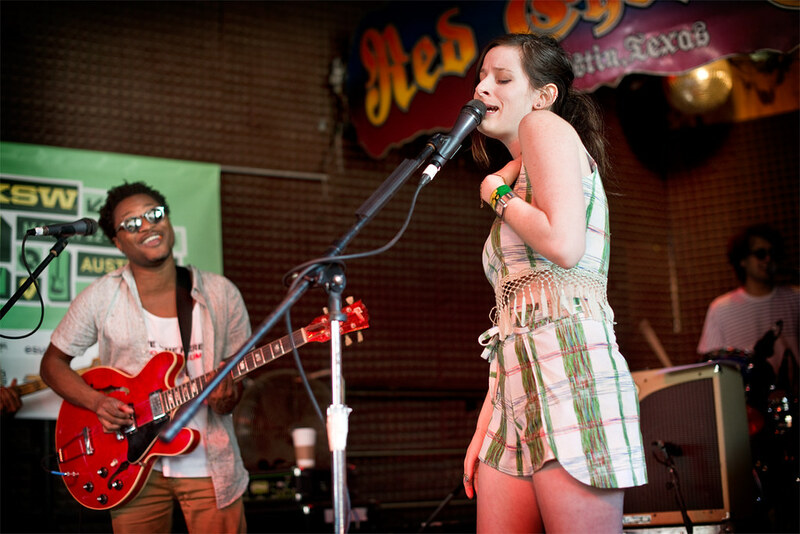 LA darlings Wardell heats up the summer with their SoCal vibe.